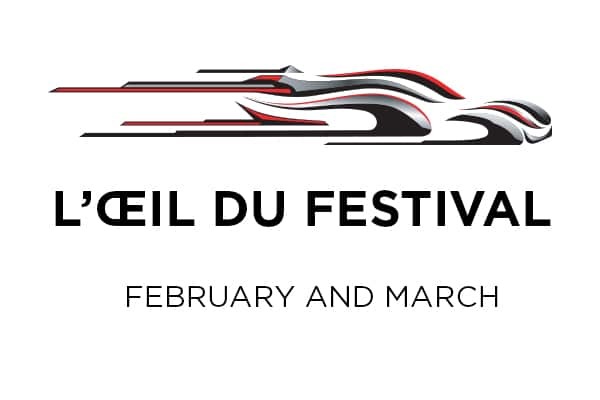 From 30 January, part of the design exhibition organised alongside the Festival Automobile International will be given over to a tribute to the Fiat 500: a close-up view of this icon. 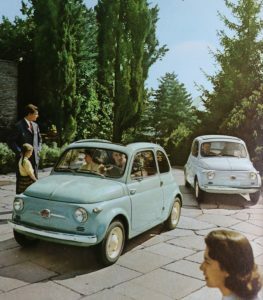 The Fiat 500 was conceived in the bustling Italy of everyday people during the 1950s, the Italy shown in The Bicycle Thieves or I Vitelloni. 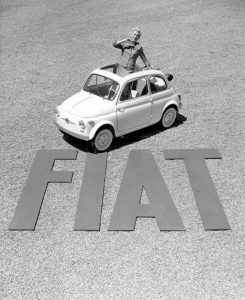 The Fiat 500 received the ultimate accolade in 2017 when it entered MoMA (the Museum of Modern Art in New York) on the occasion of its sixtieth birthday. 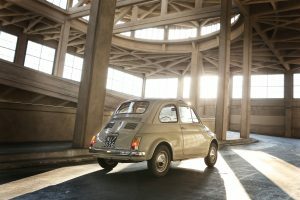 “The Fiat 500 is an icon which changed the way cars are designed and built in Italy”, Martino Sterli, the curator of the architecture and design department, declared when the star from Turin was inducted into the museum. 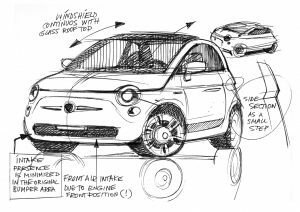 In charge of the advanced design department since 2001, Roberto Giolito was convinced that the image of the 500 could prompt an outpouring of sympathy for the old company, which was now struggling. 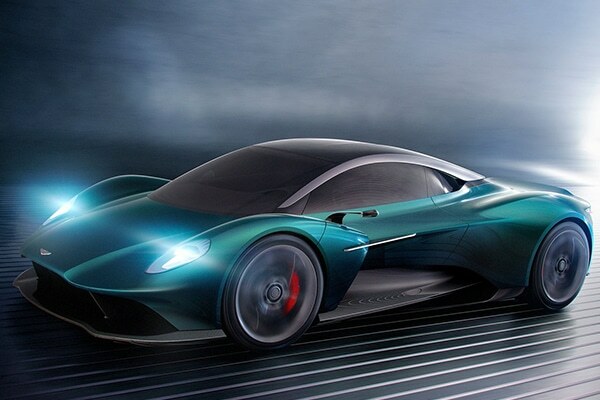 In 2003, he began work on a project which was to be unveiled at the 2004 Geneva Motor Show under the name of “Trepiùno” (for three + one). 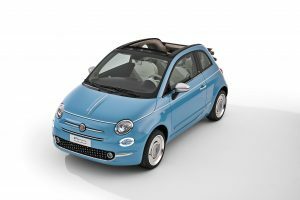 The design brief specified that it should not be a “replica of the Fiat 500, but rather a modern interpretation of the famous icon”. At the time, there was a trend towards models recalling the past. The Mazda MX5 was a huge success, Volkswagen’s New Beetle won over the public and increasing numbers of retro designs emerged at a rapid rate … As its name indicated, the Trepiùno had three seats: two in the front and a third behind the driver (with a fourth, folding seat as backup behind the front passenger). With its appearance tinged with nostalgia, the sparkle of the Nuova 500 of the 1950s was present once again. There were many allusions to the past, but interpreted in a modern fashion. The project immediately appealed to everyone who saw it, journalists and members of the public alike. 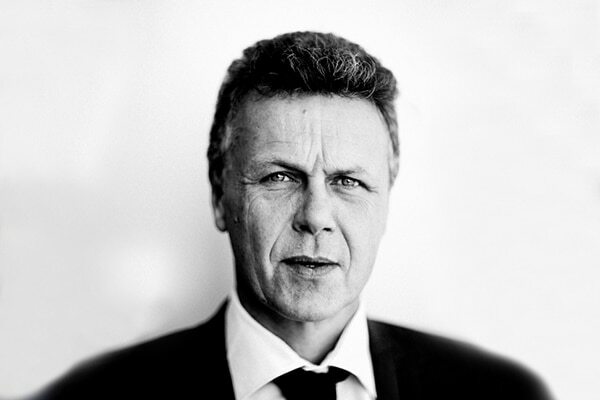 Flavio Manzoni, who had become head of Fiat’s design centre in 2004, gave his support to the project. It would be February 2005 before the divorce was pronounced, the American friend choosing to pay substantial compensation rather than buying the Fiat business weighed down with colossal debts. 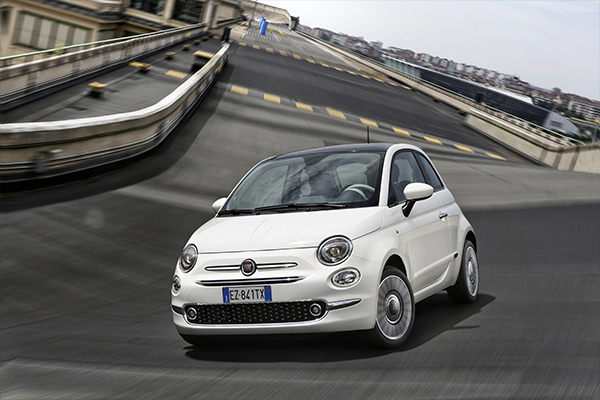 No longer accountable to GM, Fiat’s management gave the project the go-ahead. The Trepiùno concept made way for the “312” programme. The final product had to be “stylish and practical, a car its new owners could make their own”. Its exterior styling was adapted to meet safety requirements and offer more room inside. Its length increased from 3.30 to 3.50m. Whereas the Trepiùno was built on the mechanical underpinnings of an older Punto, the 500 was based on the Panda. It kept the Trepiùno’s general outline, with a pyramid-like shape and evocative proportions, but its style was resolutely contemporary, with a dynamic beltline dropping away towards the front. The 500 was launched in July 2007, exactly 50 years after the legendary Nuova 500.